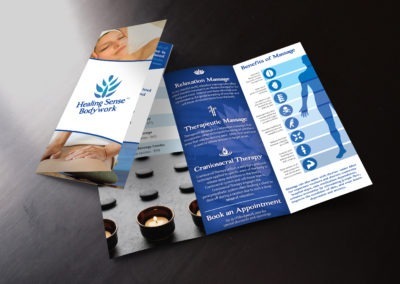 After KARMA successfully refreshed Healing Sense Bodywork’s logo and designed their new business cards, the client tasked us with designing flyers to help generate new business for their massage therapy spa. 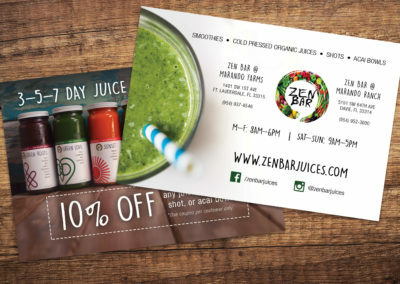 We created coupon flyers that they could easily update with any type of promotion. 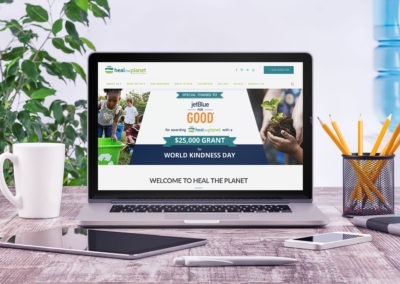 KARMA came up with the concept to offer an incentive, which was a special discount specifically geared towards new clients. 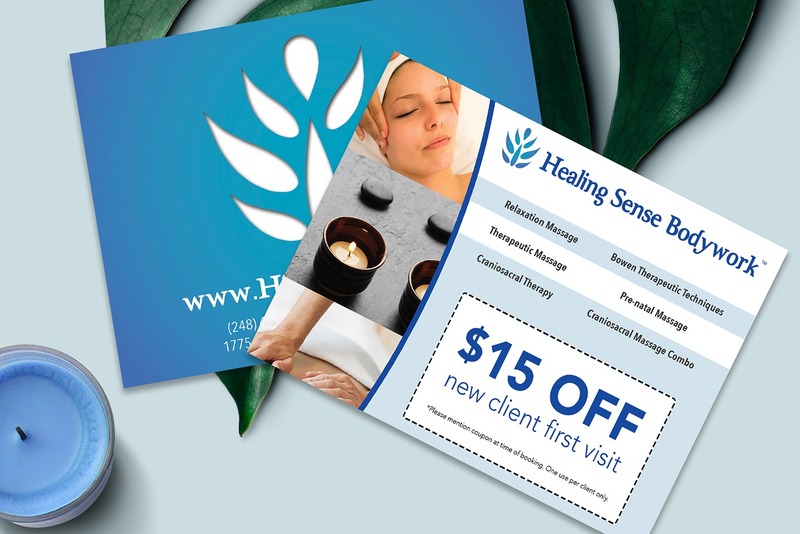 Additionally, the idea was to design the coupon flyers as a template which the client can update as needed for future promotions, as well as list out all the types of massages they offer, while incorporating the new branding which was previously established with their business cards. KARMA successfully designed a double-sided flyer which caught the attention of new customers and resulted in increased business. 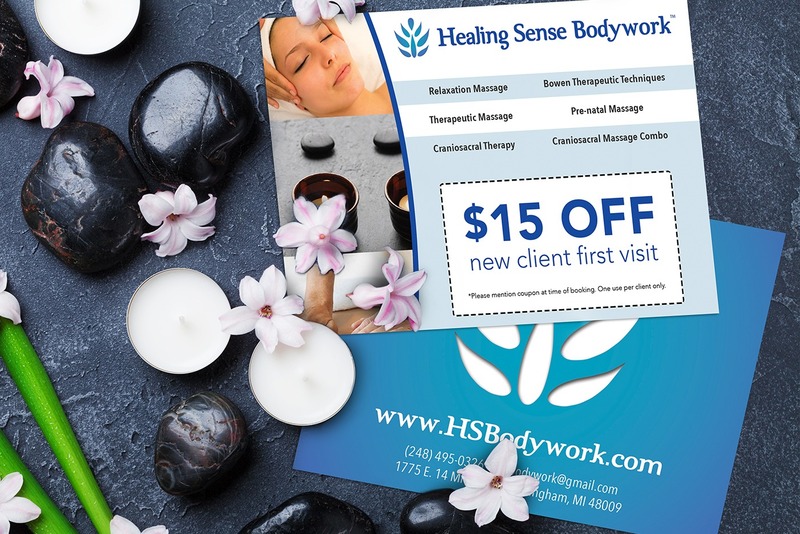 The front of the flyer showcased the massage therapy options in a visual, easy-to-read format alongside the valuable $15 OFF coupon for first-time clients which was the focal point of the design. The back of the coupon flyers matched the business cards and provided the spa location and contact information as the call-to-action. 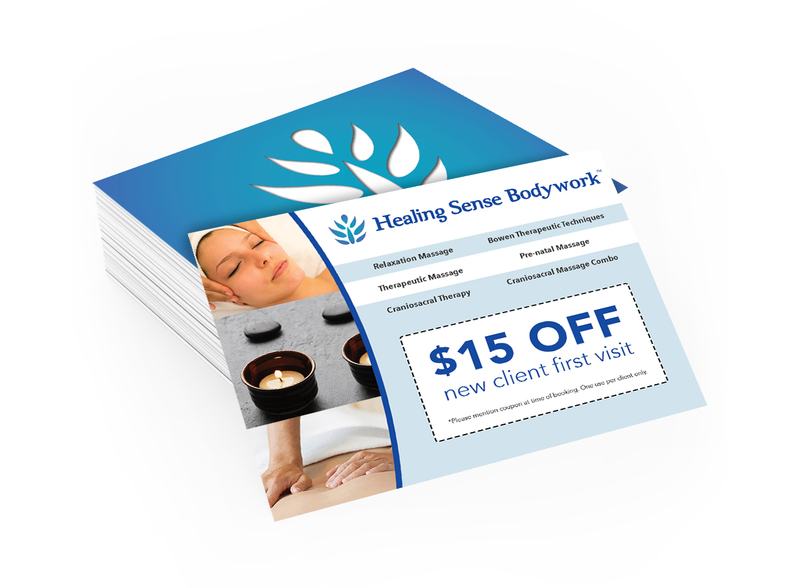 Healing Sense Bodywork was able to easily revise the design for future promotions, by simply switching out offer details.